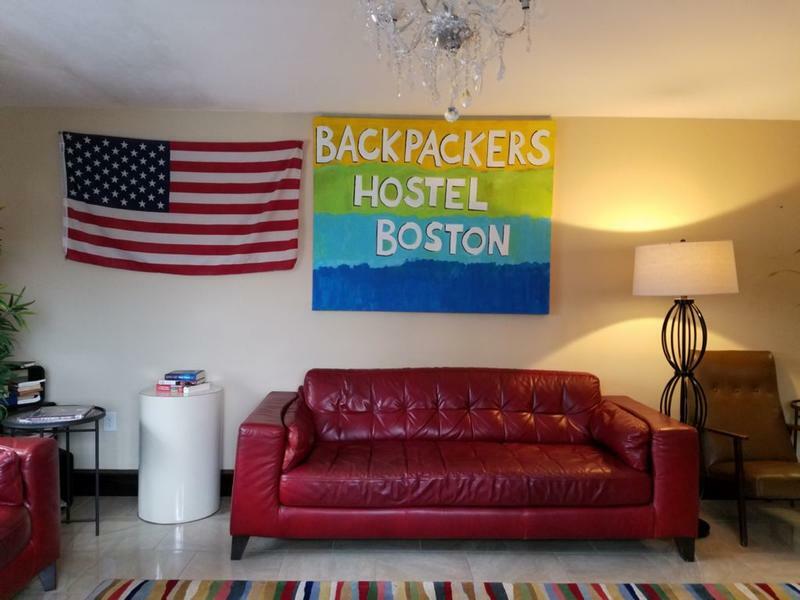 Although we are just outside the downtown Boston city limits, (4 subway stops from Haymarket), the newly renovated Backpackers Hostel more than makes up for that with, not just superior guest services, but with the most exceptional guest services in the hostel business. All our staff are trained to do whatever it takes to make sure that you have the absolute best experience we can provide, while you visit one of the most historic and interesting cities in all of America. We appreciate your business and we want to prove it to you. 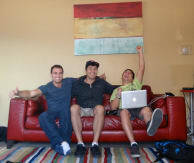 If you are taking your car to Boston, Backpackers Hostel is the ONLY hostel you would want to stay at. We are located 3 miles from Central Boston and you will not have to deal with any of the gridlock traffic that hampers Central Boston. This is a HUGE advantage and will make your visit more enjoyable. TRAFFIC can ruin everything. Also our PARKING $5. 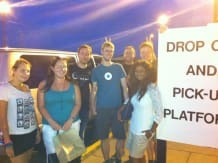 Park your car and use our famous SHUTTLE SERVICE for the rest of your visit, without any worries. If you are using a GPS to find Backpackers, be sure to enter our correct address: 13 School Street Everett MA 02149. Begin your morning with complimentary coffee or tea in our breakfast nook before you board our FREE SHUTTLE SERVICE to Wellington Station, just 4 stops from central Boston. If you prefer to get some exercise and walk to the subway, there is a painted ORANGE LINE from our front door to Wellington Station. This walk will take about 15 minutes. If HARVARD UNIVERSITY and MIT are on your itinerary, both destinations are easily accessible by public transportation or automobile to Cambridge. 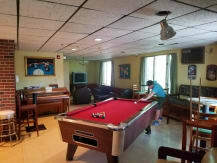 We are also the closest hostel from Salem MA out of all the hostels in Boston. RETURNING to Backpackers Hostel on Public Transportation is very easy. Get to Wellington Station on the ORANGE LINE. After arriving back at our hostel you can relax in our cozy pub and discuss your day with other travelers, use our FREE COMPUTERS or connect to our FREE WI-FI and just get comfortable and relax. Our Check-In closes at 10pm daily, 11pm on weekends, yet we can accommodate those who have trouble arriving before 10pm. Contact our front desk to make arrangements before your arrival. Once again our focus is to provide a safe, comfortable and relaxing setting for all our guests after they tour the bustling and busy city of Boston. Check-in closes at 10pm every day. We're happy to accommodate you if you will be arriving after 10pm; please call our front desk to make arrangements before your arrival. Please note that prices do not include 16% tax. This property has a 1 day cancellation policy. Failure to cancel within this time will result in a cancellation charge equal to the first night of your stay. From Wellington Station (Orange Line) take the #110 or #97 bus to Gladstone Street and follow the directions above. You can also take the #99 bus to Elmwood Street. When you get off the bus just look behind you, to your right, and you'll see the Backpackers Hostel at the corner of Main Street and School Street. From Sullivan Square Station (Orange Line) take the #104 or #109 bus to Gladstone Street. When you get off the bus, cross over Broadway and walk up Gladstone Street to the end. Take a left onto School Street and Backpackers is at 13 School Street. This is less than a five-minute walk. 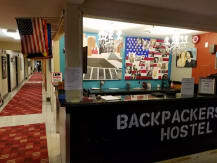 If you are taking your car to Boston, Backpackers Hostel is the only hostel you'd want to stay at. We are located 3 miles from Central Boston and you won't have to deal with any of the gridlock traffic that hampers Central Boston. This is a huge advantage and will make your visit more enjoyable. Traffic can ruin everything. Also our parking is free. If you're using GPS to find Backpackers, be sure to enter our correct address: 13 School Street, Everett, MA, 02149.